Imagine looking up at a twinkling night sky while watching classic Hollywood films. When you inhale, you can taste the nostalgia (or dust) of a time when going to the movies was a privilege and not just a back up plan for a rainy afternoon. 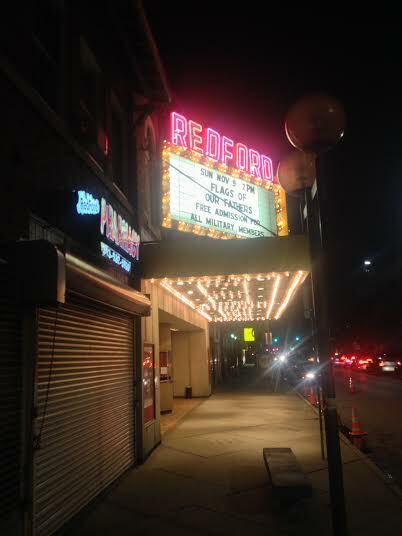 Such a place isn’t fantasy; it is the Historic Redford Theatre, located in Old Redford at Grand River and Lahser. 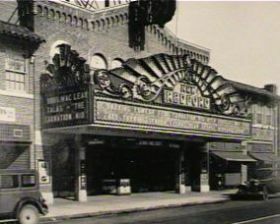 The Redford Theatre was built in 1928 during the silent movie era. Accompanying the movies scores were live musical performances including organs and pianos. An original and permanent fixture at the Redford is a Barton Theatre Organ, built into the full size stage. Before the feature presentation begins, patrons enjoy a half hour organ recital of popular movie soundtracks from composers such as John Williams (Indiana Jones, Star Wars, Harry Potter) to Ragtime music artists like Scott Joplin. To the accent the final performance, both man and machine take their bow by being hydraulically lowered into the bottom of the stage. The Fox Theatre downtown and the Redford Theatre are the only two theaters left in Metro Detroit with its original organs. Throughout the Redford Theatre, there are beautiful Japanese themed decorations. In the main auditorium on both sides of the stage are reliefs of Japanese pagodas protruding out of the wall, which house the massive organ pipes. 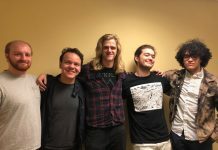 The theatre is owned and operated by the Motor City Theatre Organ Society, and all proceeds from ticket sales, concessions, and 50/50 raffles go to the restoration and maintenance of the building. Every friendly employee is an unpaid volunteer. The three-story building has a large lobby with twisting staircases that lead to an expansive balcony area. Greeting you at the top of the stairs is a giant mural of Japanese Geisha. The ceiling in the main viewing area consists of hand painted murals of clouds and constellations. Adding more magic to these extraterrestrial bodies are lights that twinkle like stars against the blue paint. All this charm is completely worth the $5 ticket price, to see classic films on the big screen presented in 35mm format, the way they were originally to audiences. The calendar of events varies from Alfred Hitchcock to The Three Stooges.